I know, I know. Going outside in the freezing cold – either after a full day of work, or at the weekend when your sole goal is to go into hibernation – really isn’t your cup of tea. It isn’t mine either. It probably ranks right down there with ‘getting a massive hole in my tights as I walk out the front door’ and ‘realising I’ve completely run out of annual leave’. But, just this weekend, I implore you to get out of bed for one evening. Why? Well, in order to catch the gorgeous Lumiere Festival, which is running for just four nights between the 14th and 17th January. What is the Lumiere Festival? If you’re wondering this, then you are EXACTLY who I wrote this blog post for! I didn’t know anything about it until my friend suggested we go take a look, so didn’t want anyone to miss out! 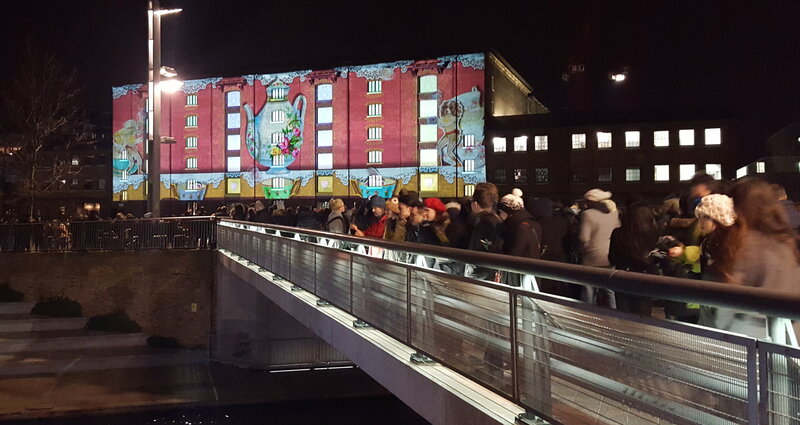 Put simply, the Lumiere Festival is a HUGE light festival in the capital. It’s actually the biggest ever, with light displays, 3D projections and interactive installations up around King’s Cross, Mayfair, Piccadilly, Trafalgar Square and Westminster. Click here to find out more, and for a free map of the exhibitions! 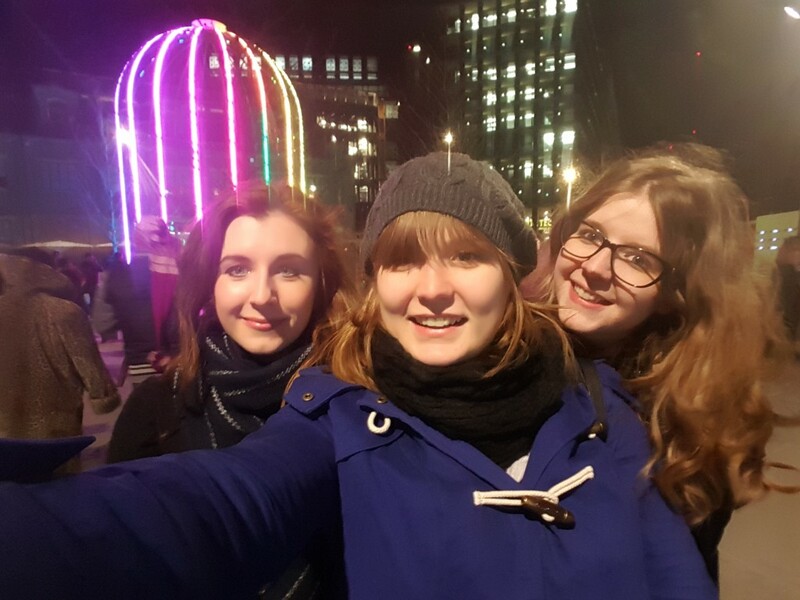 On Thursday night my two friends and I braced London’s Arctic conditions and headed on over to King’s Cross. Expecting some sort of subtle light display hidden away down some backstreet, I was surprised to see that it was a massive event! Streams of people were flowing down the nearby streets, following the prominent signage with the help of stewards to pause traffic as crowds crossed the roads. Some displays are more exciting than others, but there’s still a huge amount of creative thought that’s gone into each one. 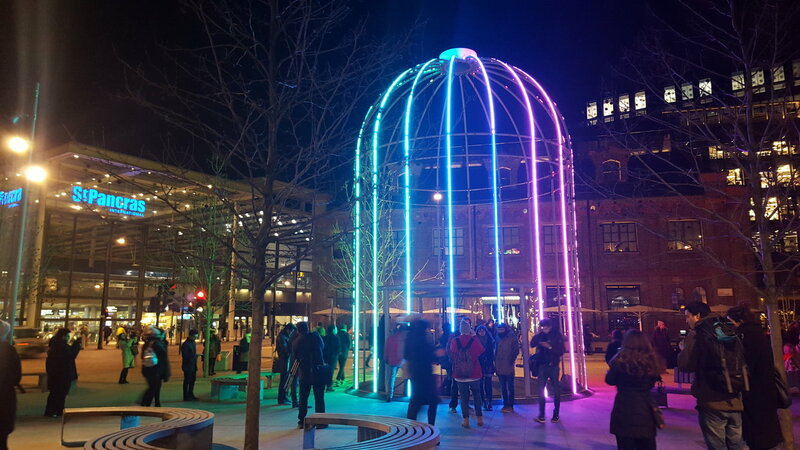 Our favourites were the giant bird cage complete with swing in the middle, plus a circus animation that was projected onto the side of the University of the Arts London building. It may not be to the same scale as other light festivals (like Lyon’s), but it was worth getting out of bed for. And that’s coming from me! Fingers crossed the Festival will return to London next year – even bigger and better! 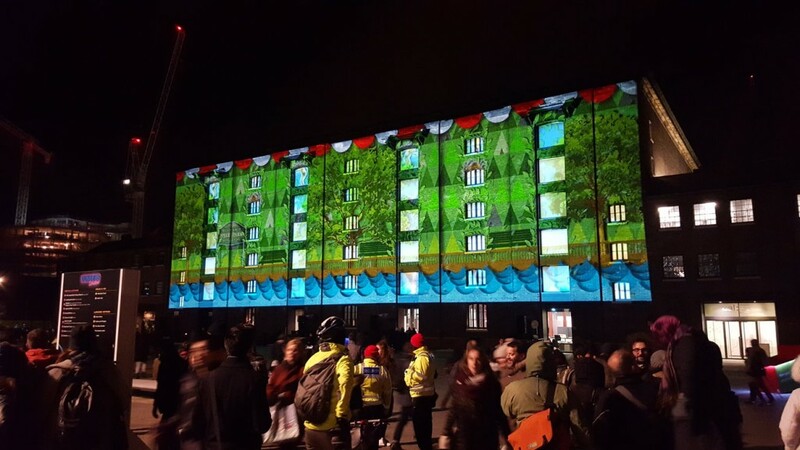 Have you been to the Lumiere Festival yet? Or are you planning to go this weekend? Let me know your thoughts in the comments below!